Two dope videos for the price of one! Let’s go!!! First R.A. drops a short, but sweet, verse in this western inspired video for ‘The Return’! A new R.A. album is on the way, so if this is anything to go by, it will definitely be fire!!! 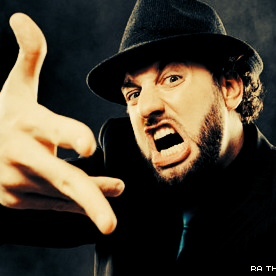 LONG LIVE RUGGED MAN (potential album title R.A.?)!!! Second, Griselda and Shady’s, Conway The Machine drops a gritty, and grimy, video (courtesy of Mercenary Productions) for the opening track on his recent album, ‘E.I.F 2: Eat What U Kill’! This track is straight up gangsta music and the video suits it well!! !